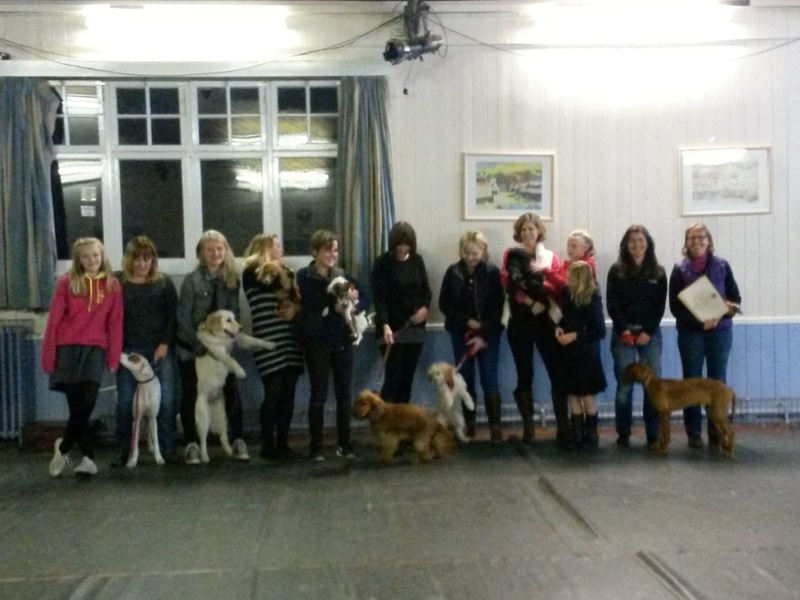 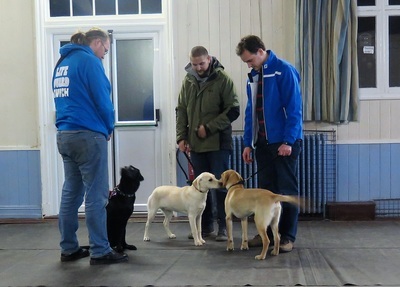 Pet Training Classes take place on a Thursday evening and are held at Lancaster Hall, Send, Surrey GU23 7ET. 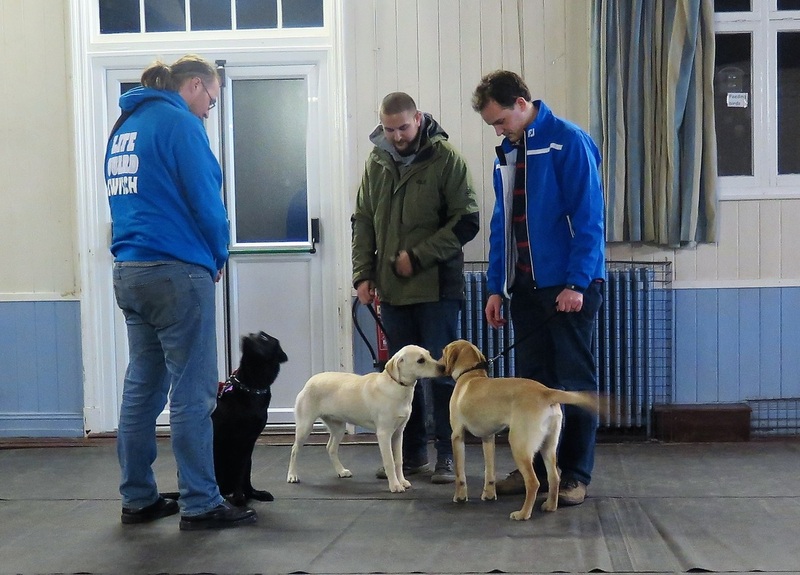 Puppy classes start at 6.30 pm and are a friendly opportunity to learn the skills needed to help your puppy become a sociable and well adjusted family pet. Our experienced trainers - Chris Turner and Chris Brooks will guide you through the Kennel Club's Good Citizen Awards. 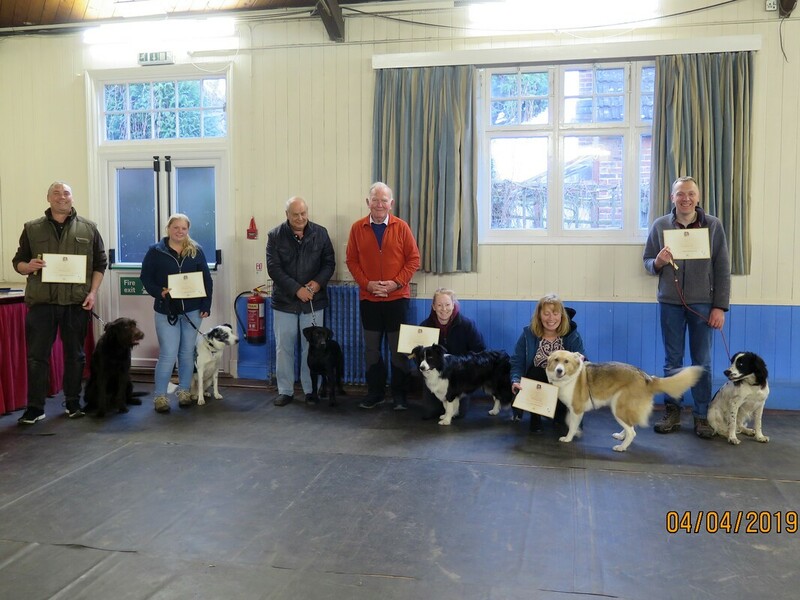 You and your dog can progress through Bronze, and Silver Awards and then join our senior class and go for Gold. 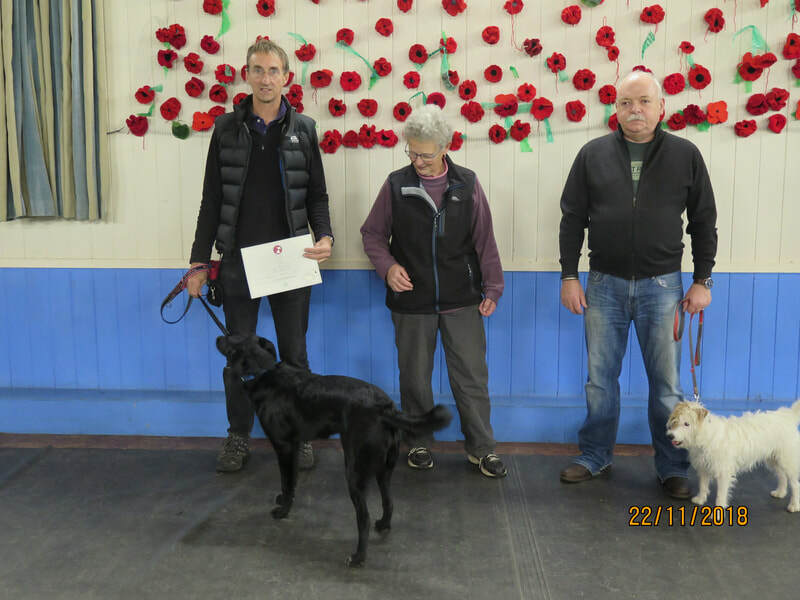 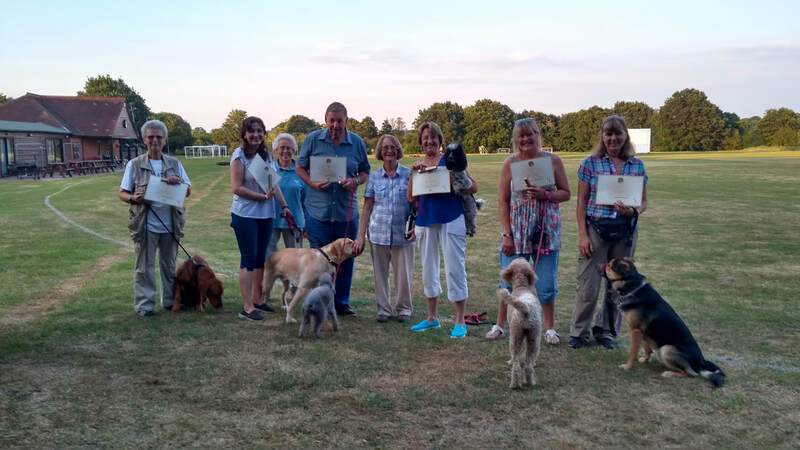 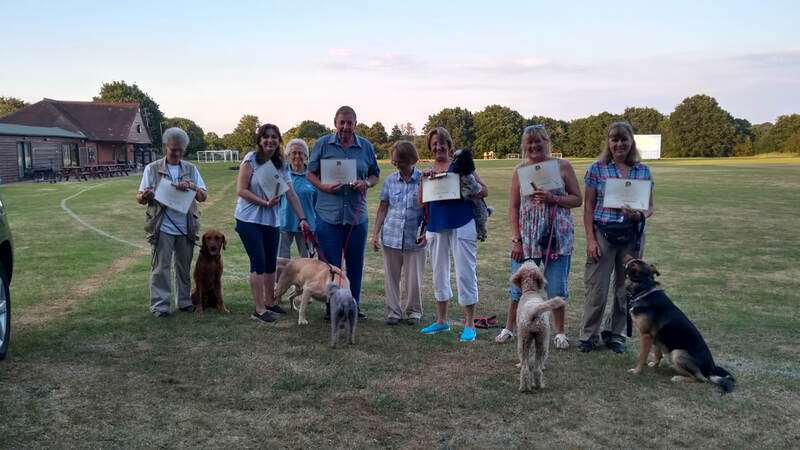 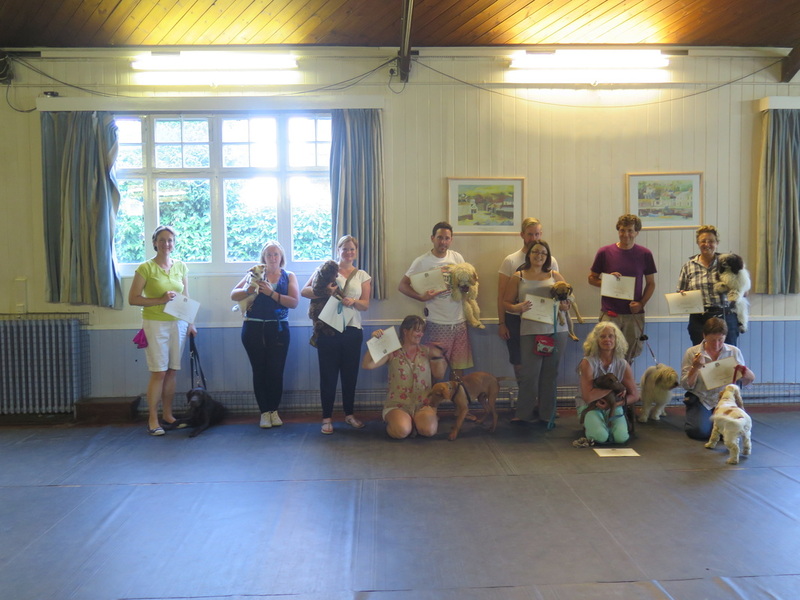 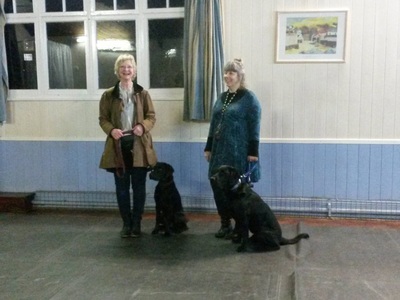 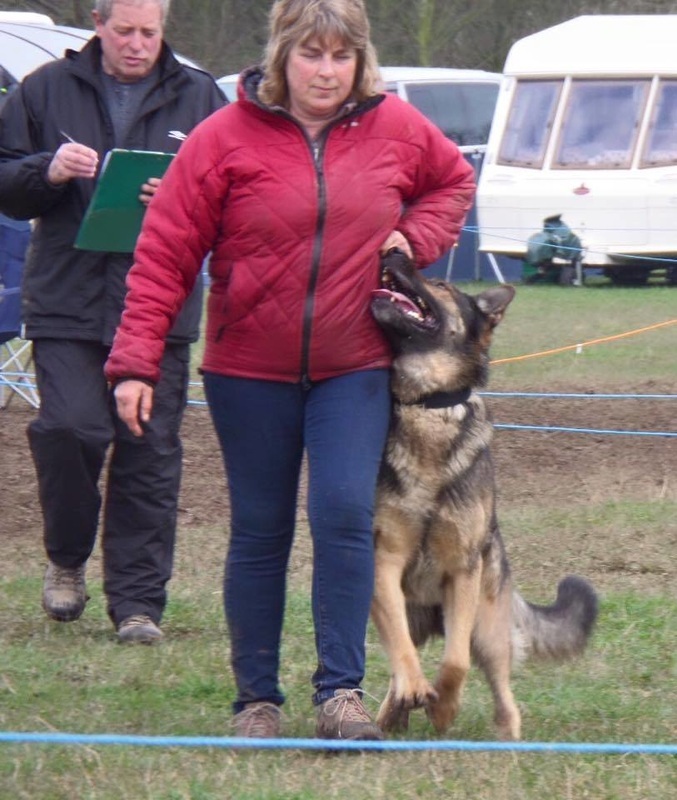 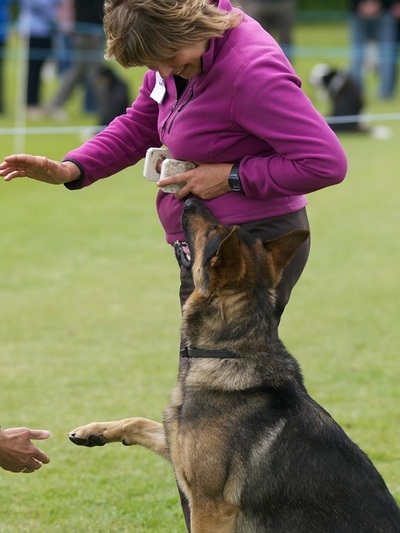 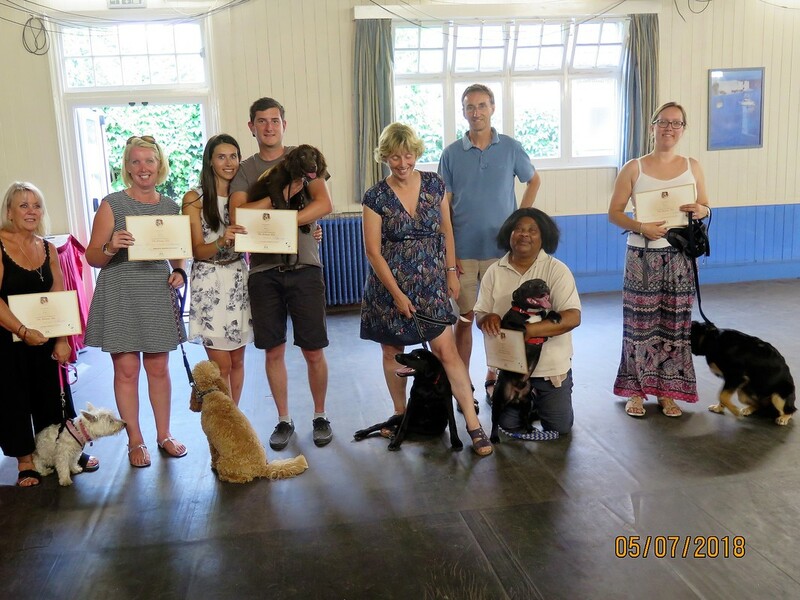 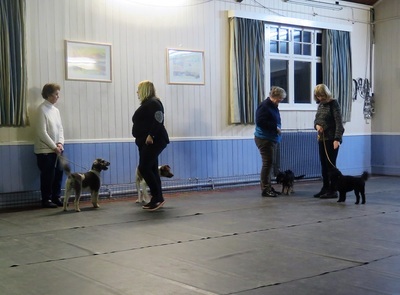 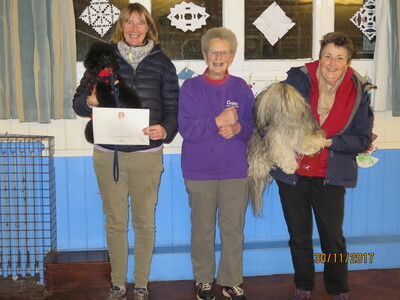 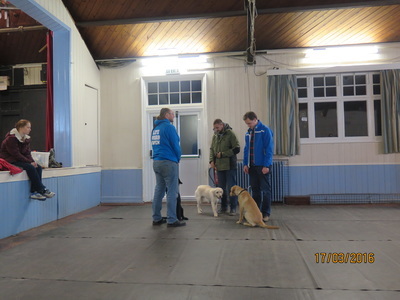 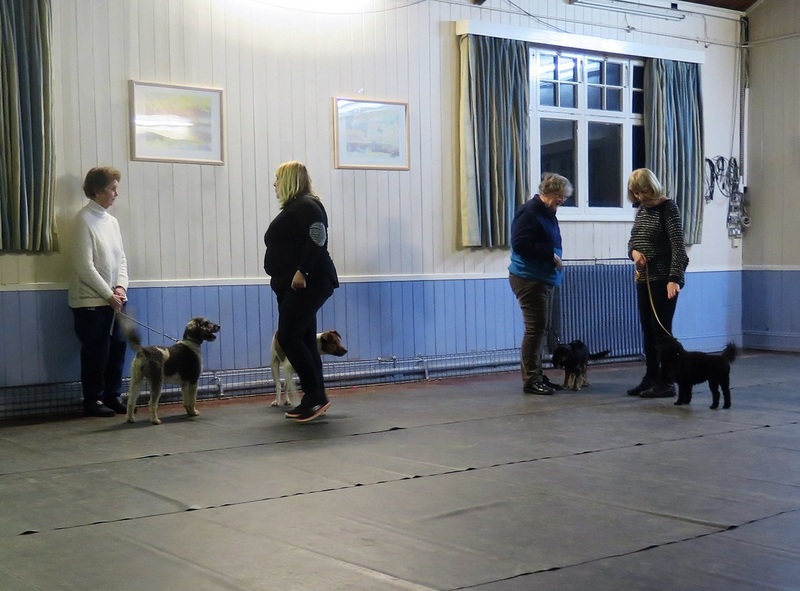 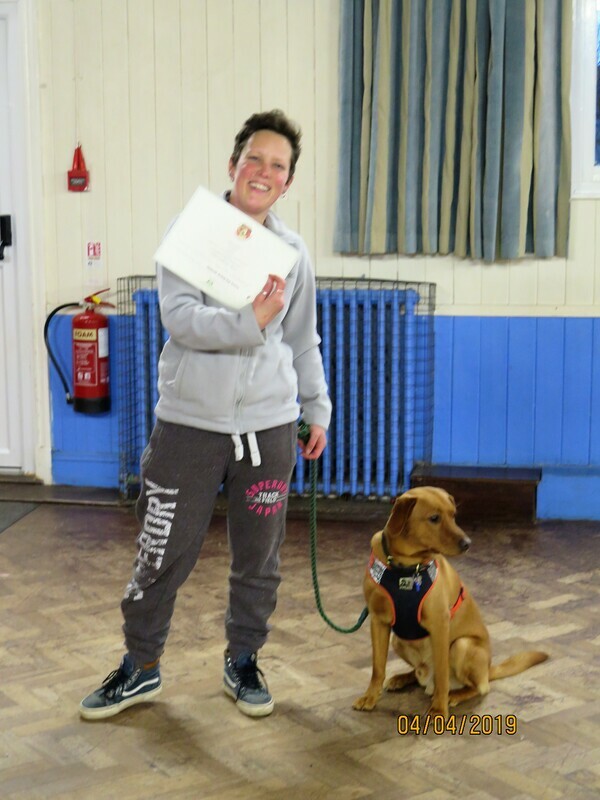 These classes are also suitable for more experienced handlers wishing to gain basic obedience skills which will help them in their chosen discipline; be it agility, working trials or obedience. 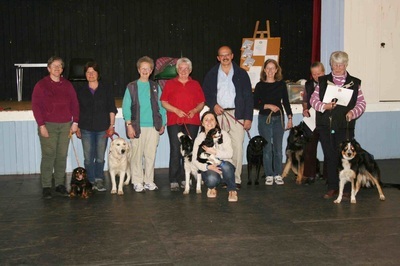 Judge Joyce Tibbetts, Lynn Guest & Noodles, Sue Roddy and Paisley, Alice Neal and Bodhi. Bronze and Silver Candidates March 2018 with Examiner Judy Meekings -​ Congratulations to those who passed and those "not ready" you will have a chance again next term. 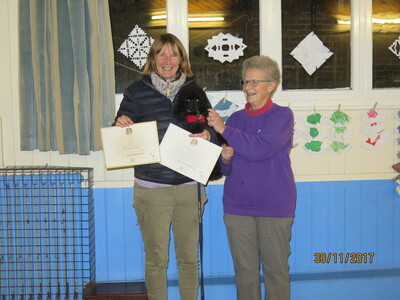 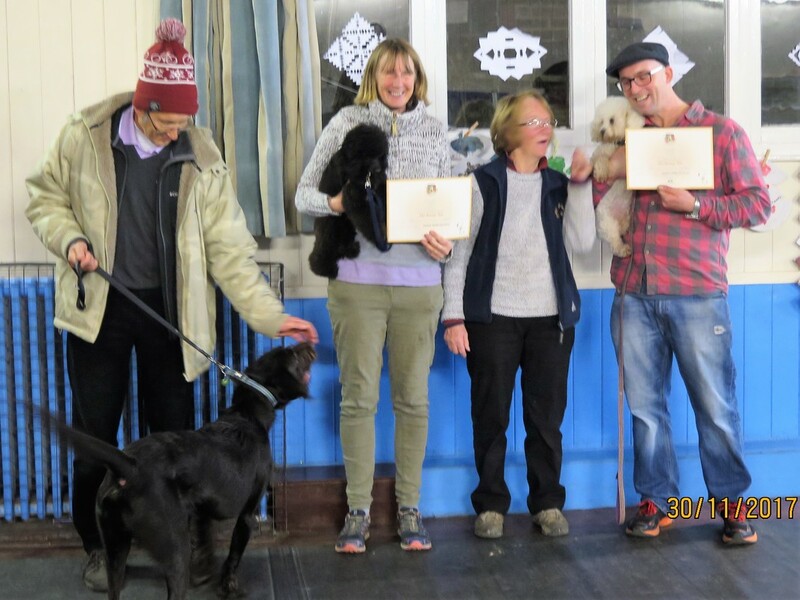 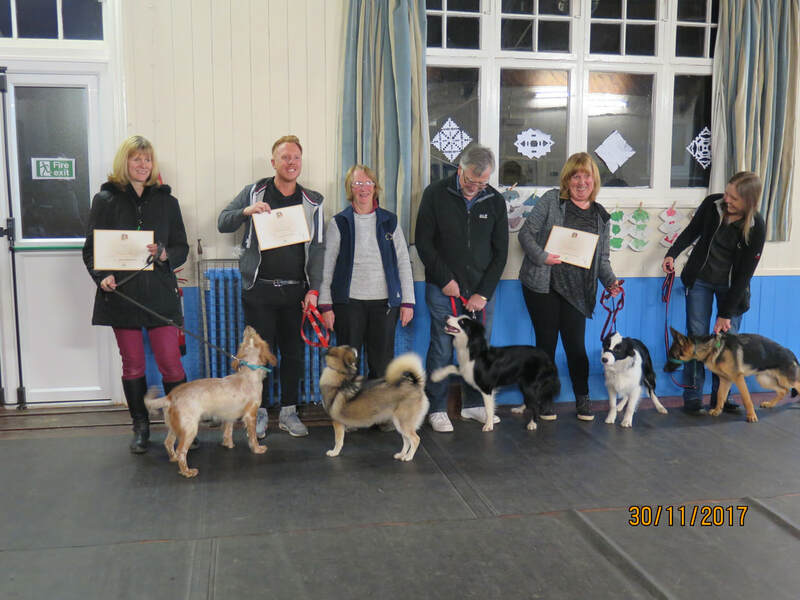 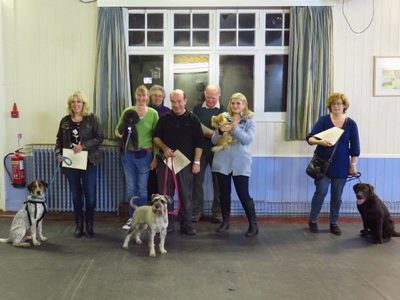 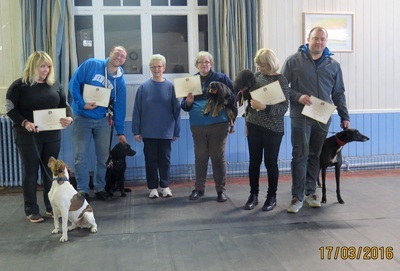 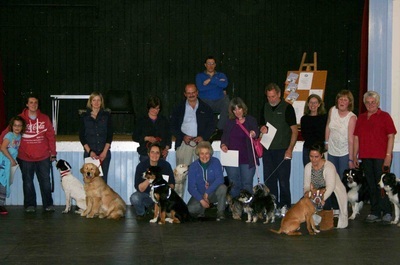 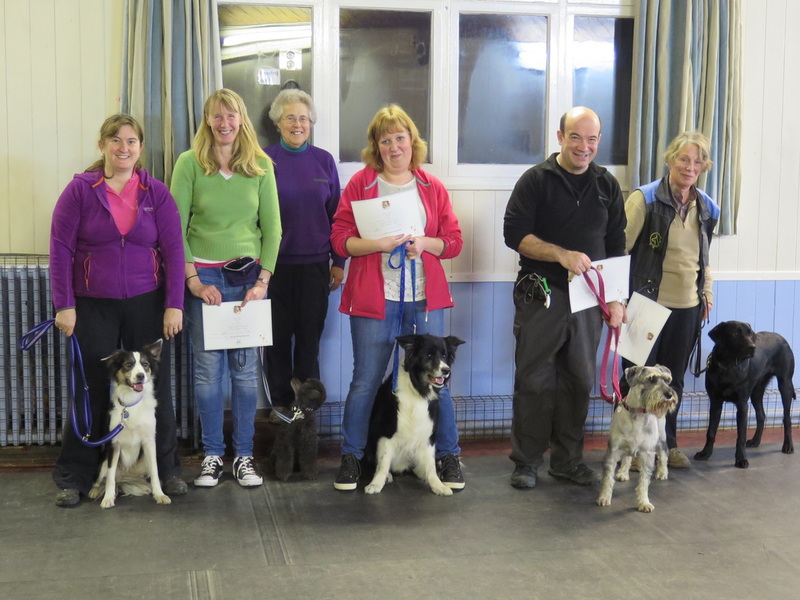 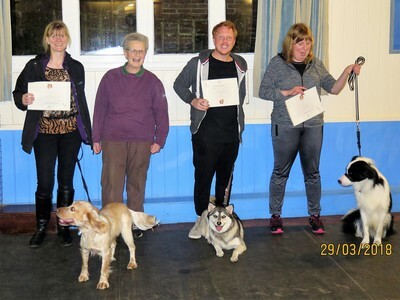 Bronze successful candidates November 2017 were Denise and Toby, Dave and Layla, Ellen and Billy, Tommy and Jolie, Sue and Hershy who were judged by Joyce Tibbetts. 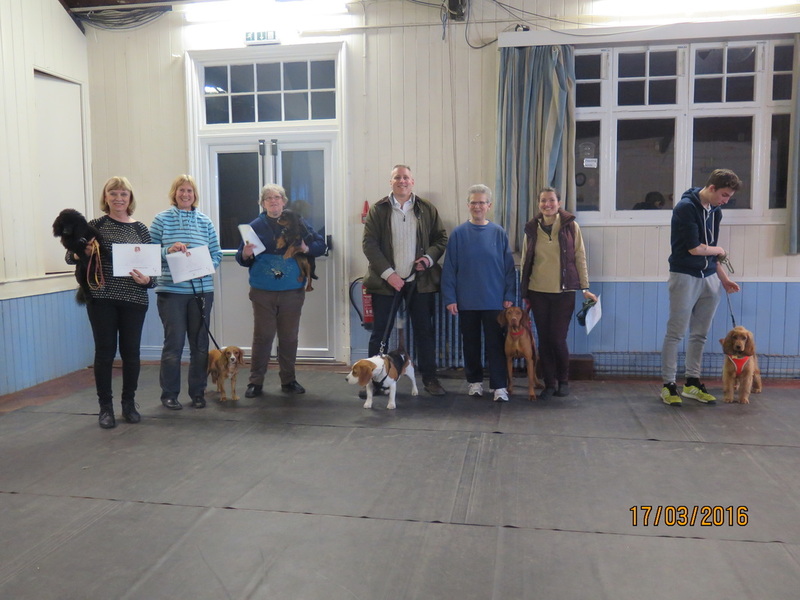 Silver successful candidates November 2017 ​were Sue and Hershy judged by Judy Meekings. 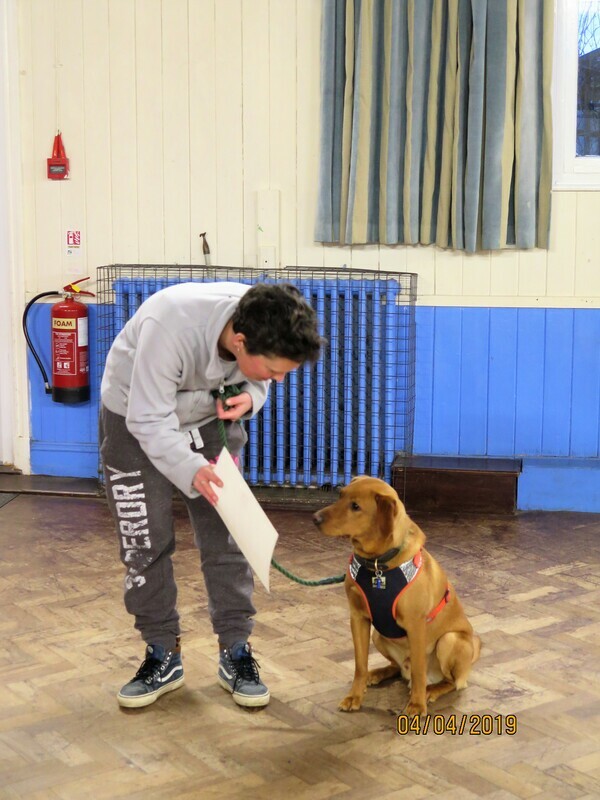 ​Congratulations to those that passed and those "not ready" you were close and will have a chance again next term. 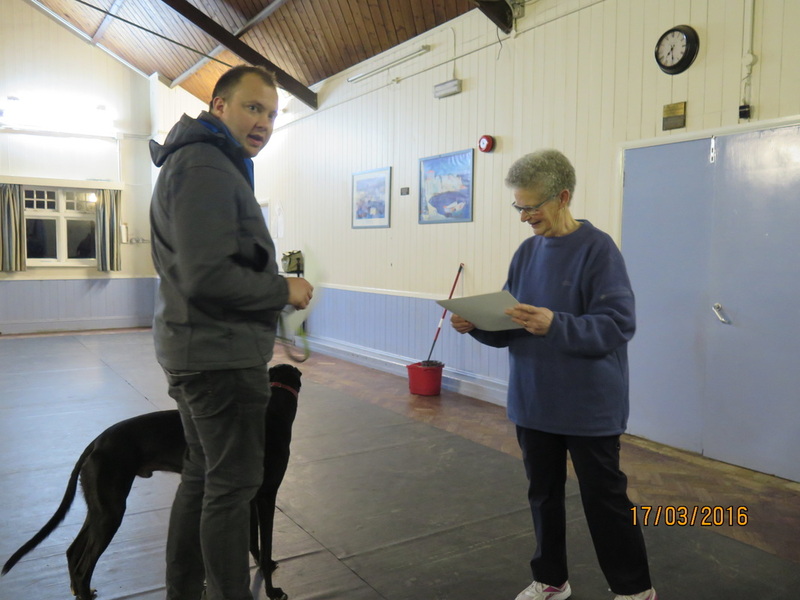 Many thanks to our trainer Chris Turner. 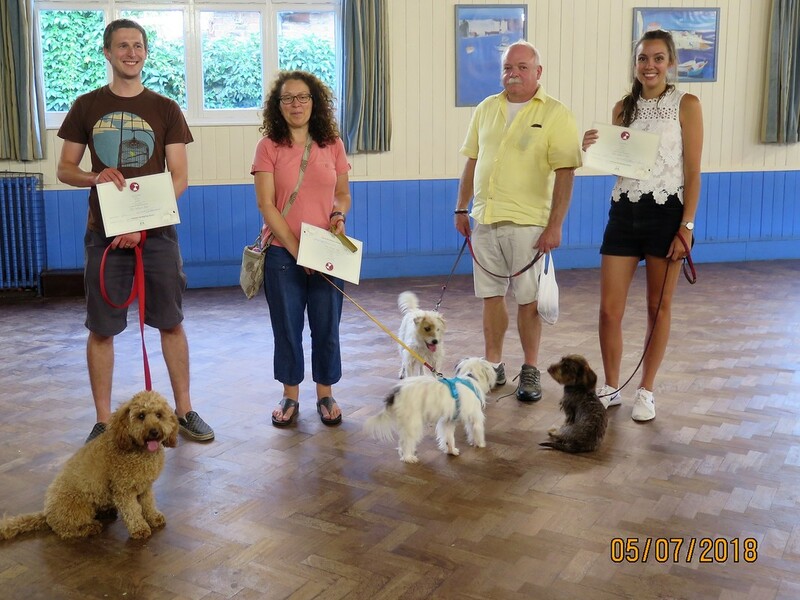 July 2016 Good Citizen candidates. 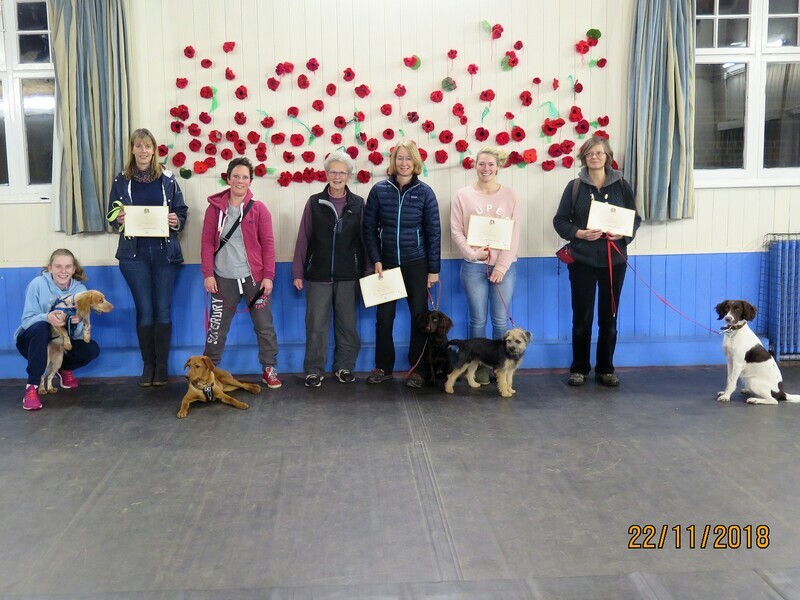 Congratulations to our qualifiers and to those that didn't make it this time - you will next time. Have a lovely summer and see you in the autumn - Thursday September 8th. Many thanks to our judge Dave Currier and to our trainer Chris Turner. 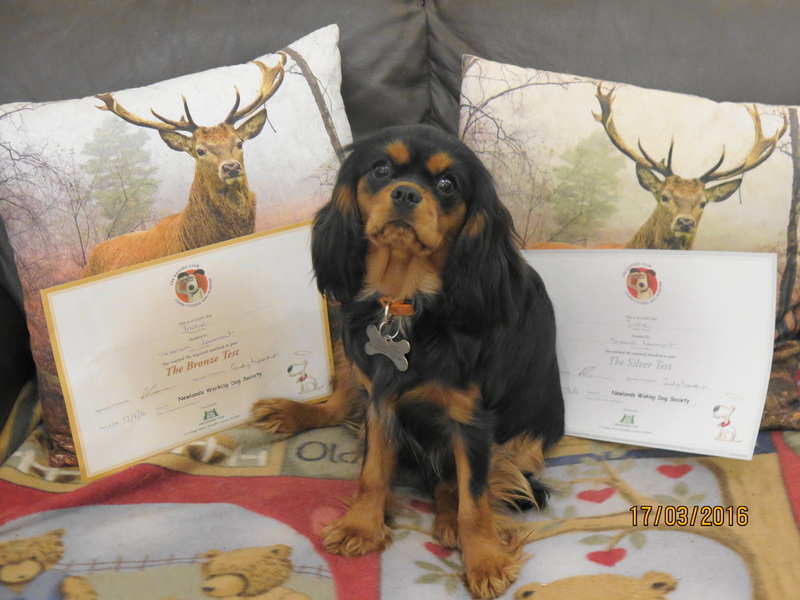 Indie - Passed Bronze and Silver Kennel Club Good Citizen Tests at the tender age of 7 months. Pet of the week on the Cavalier King Charles Spaniel website. 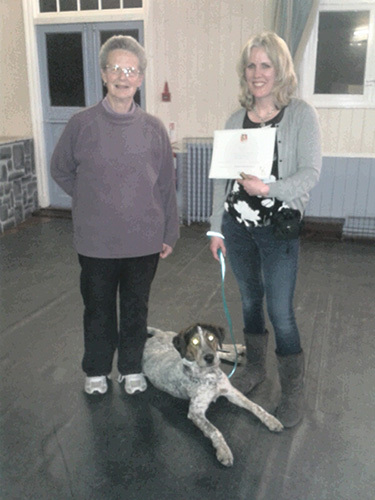 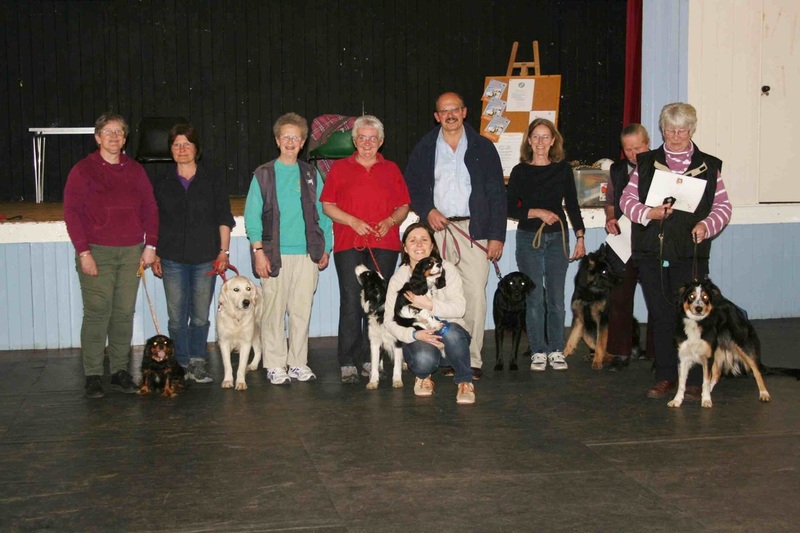 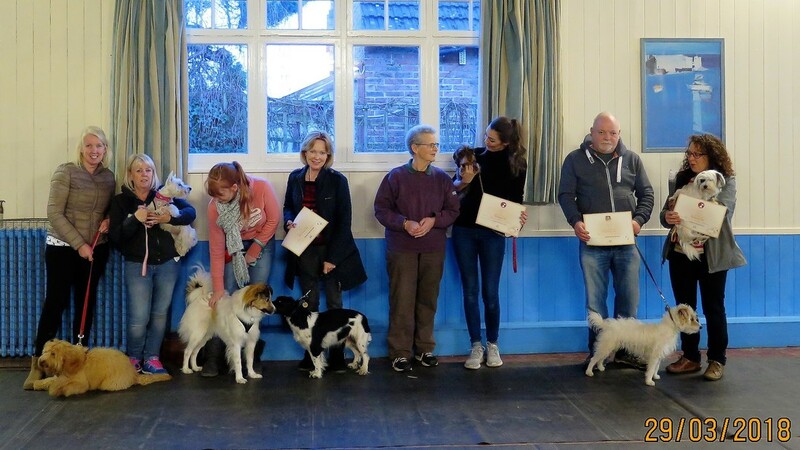 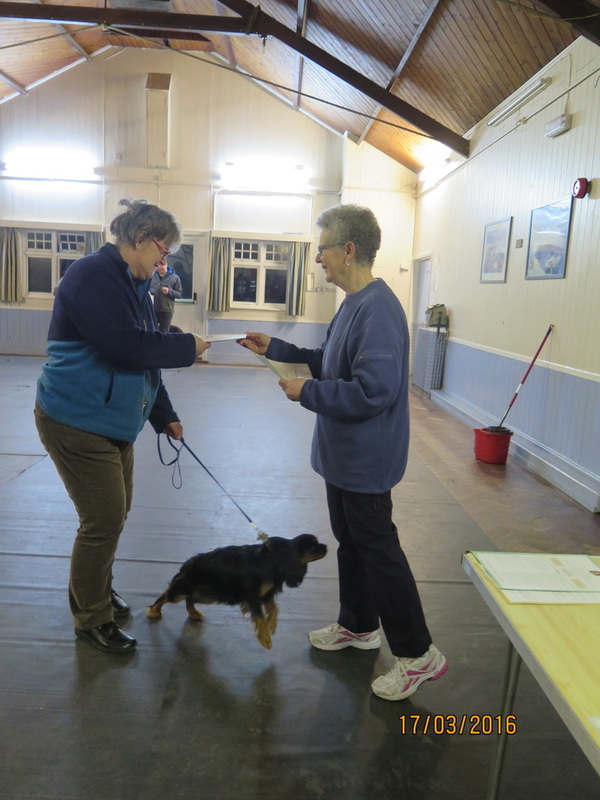 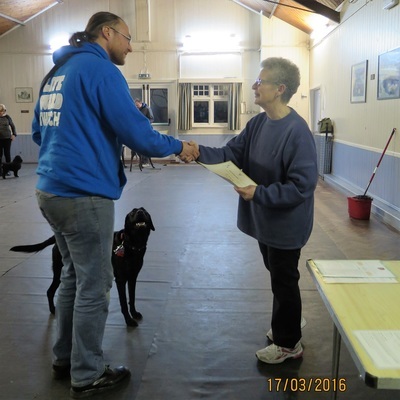 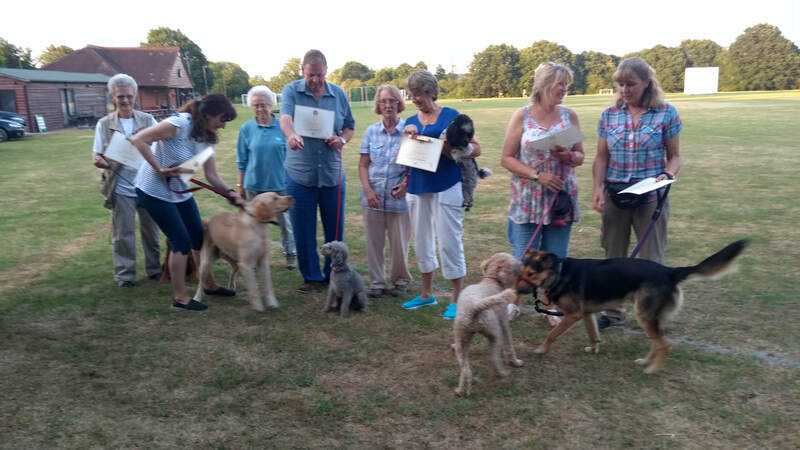 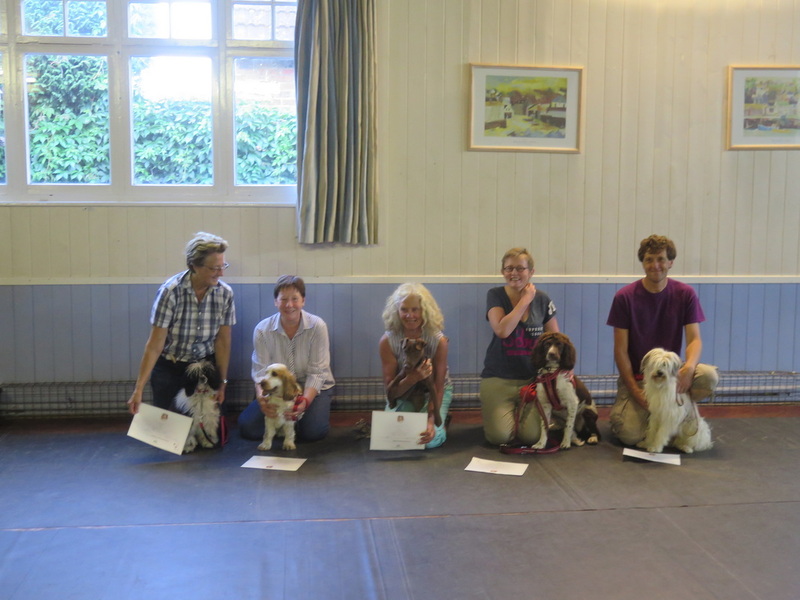 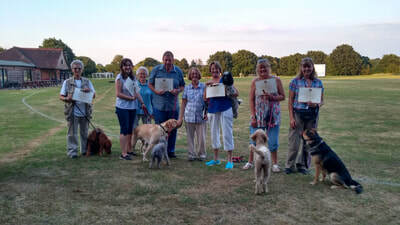 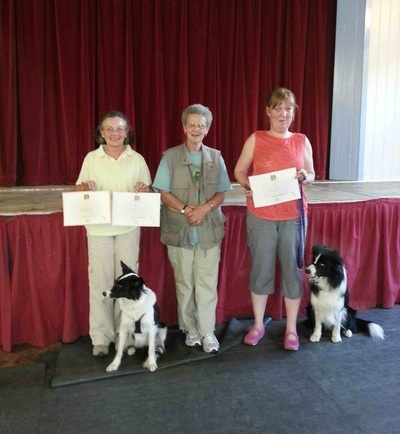 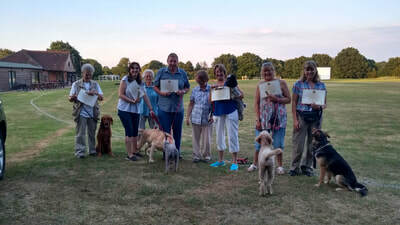 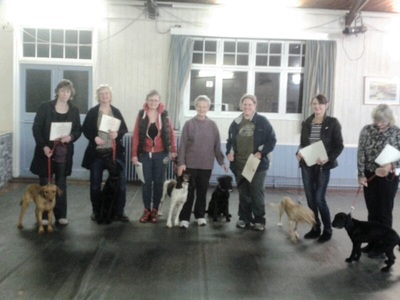 Six successful Bronze Kennel Club Good Citizen candidates in November 2015 were Larisa with Brodie, Elly with Maisie, Jo with Jacko, Heike with Elsa, Jill with Rose, Naomi with Daisy. 13 Bronze passes were awarded to: - Juliana Burrows and Lilli, Tim Watts and Jack, Lucia Vose and Lillia, Ellen Caldicott and Micky, Debbie Palmer and Figgy, Caroline Ashford and Quil, Ashley Warner and Doc, Esther Booth and Arwen, Giselle Hampton and Roxy, Trevor Walters and Rosie, Gemma Coen and Maggie, Janine Smithen and Harley, Kris Cornell and Woody. 8 Silver Passes were awarded to: - Val Upton and Clay, Sheena Lamont and Tash, Giselle Hampton and Roxy, Joan Hattersley and Emma, Debbie Palmer and Figgy, Caroline Ashford and Quil, Rose Moon and Rio, Trevor Walters and Rosie.